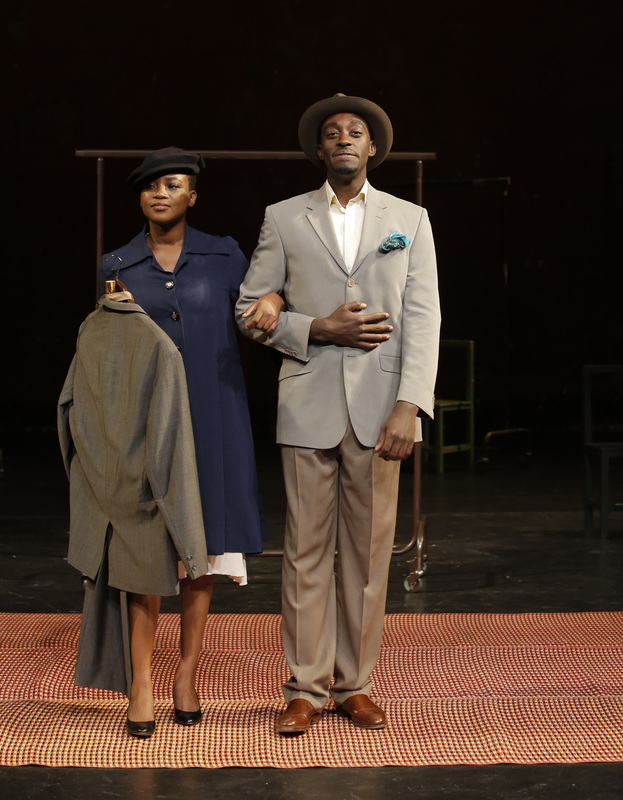 I am struggling with where to start in my review of Red at the Seattle Repertory. I attended the packed house opening night of Red last evening and this morning my mind is still racing, trying to distill the essence of Red; to quantify the take away as it were, but it is just not that simple. You see writer John Logan, director Richard E. T. White and the extremely talented acting duo of Denis Arndt and Connor Toms have conspired with foresight and malicious intent to make anything that I say, good or bad about the play, more indicative of my qualifications as a witnesser of their art, than the quality of the art itself. Even as the words begin to form in my head, I hear the commanding voice of Denis’ rendition of abstract painter, Mark Rothko bellowing at me, “What do you see?” I am left to question my own understanding, like Connor Toms portrayal of Rothko’s apprentice Ken. Am I human enough to get it? To feel it? I sit here and find myself reminiscing about an earlier time in my own life. A period when time itself seemed limitless and the thought of hanging out at the local IHOP drinking coffee with friends until 4am, wrestling with deep philosophical quandaries, seemed the most important of activities to attend to. I have to wonder; am I just starved for deep and meaningful conversation or is John Logan's writing compelling enough to instill in me a renewed hunger for those college days and to engage in meaningful dialogue with others? Red compels us to enter and spend an evening treading deep into the forgotten places, Socratic dialogues, rhetoric, discourse and of course, Nietzsche’s profound but fragile balance between Apollonian (reason and logic) and Dionysian (emotion and experience) elements required to create dramatic Art. Before you let that scare you away from attending the show, know that while the show is about Art, it does so through real visceral human interactions, touching upon many of life’s themes. What is Art? Is it truly in the eye of the beholder or is there a more ethereal quality to it? Do we judge it, or does it judge us, the viewer of it? February 8, 2012 marked the opening night for Seattle Repertory’s provocative yet compelling production of I Am My Own Wife written by Doug Wright and directed by Jerry Manning. I Am My Own Wife presents the fascinating real life story of Charlotte von Mahlsdorf, an East German transvestite who lived openly through two of the most oppressive regimes the world has known, Nazi Germany and East Germany Communism. It is an intriguing yet complex multilayered tale, at times self-indulgently shocking; yet also surprisingly emotive; even tender at moments. Irrespective of one’s feelings regarding homosexuality and transvestism, audiences cannot help but be moved by the all too real and fundamentally human plight of Charlotte von Mahlsdorf as she unflinchingly confronts decades of ignorance and misunderstanding with unapologetic pride. One may be startled to discover at some point in the play just how taken they have become with this enigmatic figure which Nick Garrison’s portrayal brilliantly brings to life. The Seattle Repertory presents the world premiere of Bill Cain’s latest work, How to Write a New Book for the Bible – a moving and candid personal exploration of parent-child relationships and finding peace in the midst of suffering and death. “How to” invites you into the most familiar of places, the family home; yet does so in a fresh, deeply poignant and humorous manner. Bill describes the play as “joyous” and celebrates the fullness of humanity, its peaks and valleys, while discovering sacred moments even within the remembrances of the minutest of acts. It is a wild emotional rollercoaster ride, through the heart, drama and faith of the Cain family; honestly portrayed, complete with imperfections, quirks and an unalterable love for one another. Unabashed, Bill Cain treks boldly into the arena of drama which is the family, draws us into the frustration, joy and absurdity which is family life and makes us care. It cannot be any easy thing to write such a deeply personal revealing play, but I was pleasantly surprised by how he masterfully integrated faith and family, in such a manner that is so accessible to all. He successfully navigates the razor’s edge between religion and entertainment, the joys and heartbreaks of family life, and the reality of aging and facing death. He does so without backing away from the edge, overly sanitizing it or becoming preachy. He delightfully portrays a family of faith not as stoic automatons, whitewashed saints or joyless ascetics, but full on flesh and blood, wonderfully flawed emotional beings, who at moments are angered, frustrated and make mistakes, while laughing, crying and even cursing without losing sight that God is found in midst of their family story.